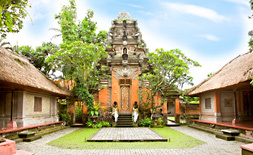 Round trip International airfare from Los Angeles to Denpasar, Bali. All taxes included and round trip transfers to and from the hotel. 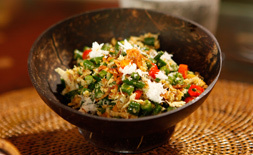 5-star hotel accommodations for seven nights in Ubud & Nusa Dua. Breakfast daily, some lunches and dinners. Tour of a well known Batik Factory. Batik fabric shopping at discounted prices. Tour of a jewelry facility & showroom. Tour of a coffee plantation. 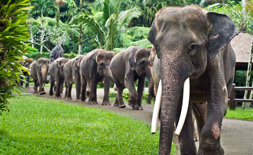 Optional visit to the Elephant Safari Park, including an elephant ride. Shopping in the Ubud arts & crafts market for hand made Balinese items. Special welcome & farewell dinners. Optional visit to the Bali Bird Park. 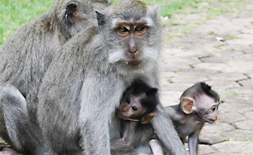 Sightseeing tour of the Sacred Monkey Forest. Touring an Ikat Weaving Factory. Shopping in the largest art gallery in Bali. Professional Balinese tour guide the entire time. Experience more than 1000 birds, 250 species and an experience that you will never forget. 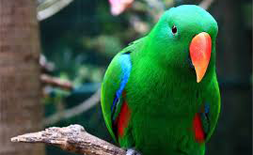 Bali Bird Park is one of the definite must-see attractions on Bali. Bali Bird Park is divided into regions that recreate the natural habitats of its birds, complete with indigenous plant life. A magical journey that takes you across the Indonesian archipelago, Latin America, Africa and Australia. The cost of this optional tour is $65.00 per person. Elephant Safari Park is situated in a rather secluded location in the Village of Taro. Surrounded by the well-preserved forest ecosystem, the moderately cool climate of the Village was assessed as an ideal habitat for Sumatran Elephants. Roaming a 3.5 hectares of authentic landscape, shaded by lush botanical garden and surrounded by the unspoiled forest ecosystem in the heart of the ancient Taro Village have made life much &apos;easier&apos; for these rescued, Sumatran Elephants. From the abundance of food source, the controlled environment to keep them from imminent threats, to the nudge of human assistance at Elephant Safari Park, is none but to make sure of their safety and well-being. The cost of this optional tour is $98.00 per person. This cooking lesson invites culinary enthusiasts to step into the local gastronomy scenes and go on a journey of rich culinary discovery. You will be immersed in indigenous culture as you learn to prepare traditional dishes with indigenous ingredients, learning about the dishes' origins along the way. The cost of this optional tour is $95.00 per person.